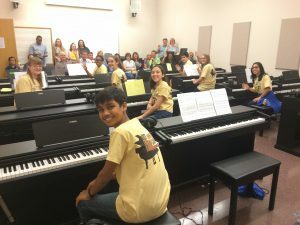 This year’s All-Steinway Summer Piano Progam held this June at the School of Performing Arts brought a special collaboration between two groups of pianists; young pianists from the age of 12-17 from Florida and professional piano teachers from China. 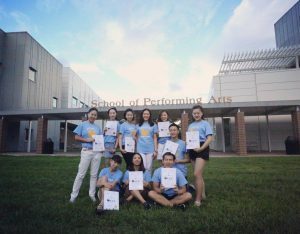 These nine young piano teachers came from five different cities in China and were visiting as members of the European Piano Teachers Association’s China Program. 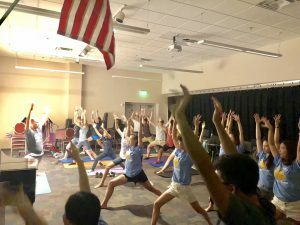 In this first-time collaboration, these two groups of participated together in classes and activities, such as showcase performances, discussion sessions and participating in a yoga for piano class. 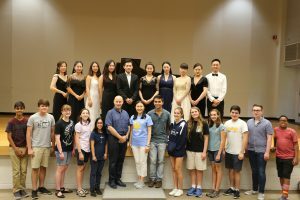 The week culminated in a special piano recital titled “The Beauty of China” with performances from the nine Chinese piano teachers. 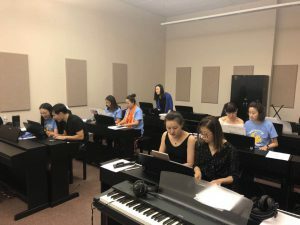 They performed famous Chinese classic folk melodies, mixed with standard classical piano literature featuring a one-piano-6-hand piece and a 2-piano-8-hand piece. 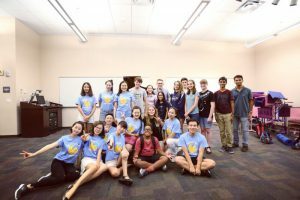 Dr. Yun-Ling Hsu looks forward to building on the success of this international collaboration.